Change in the field of health and fitness is moving at breakneck speed. 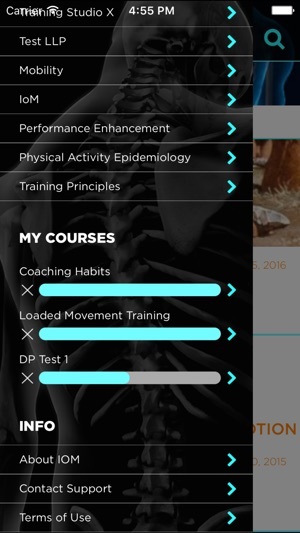 Technology has entered the arena, and it feels like there is a new virtual trainer device out every week. 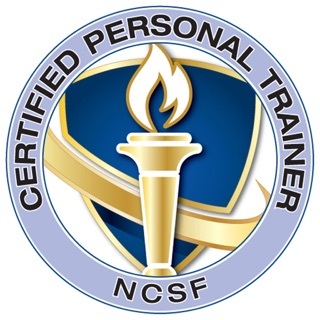 Some say that personal training is dead. At IoM, we say it's the perfect time for a personal training evolution. 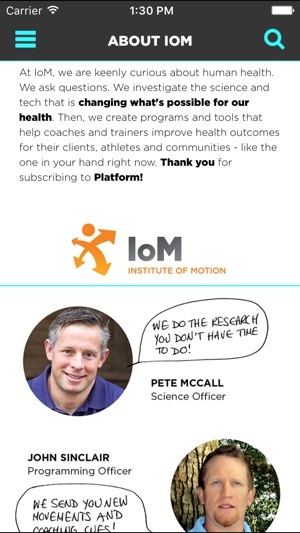 Platform by IoM is a must-have resource for health and fitness pros who want to propel their careers into this brave new world; to evolve from trainers into Health Coaches. 1. 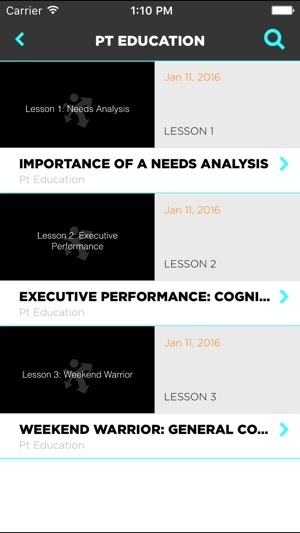 Short, specific lessons delivered to your smartphone 3 times per week. 2. Within the lessons are theoretical and practical application videos that you can use with your clients right away. 3. Over time, these short lessons aggregate into a significant body of knowledge, and a powerful toolkit of movements, assessments, and lifestyle interventions. 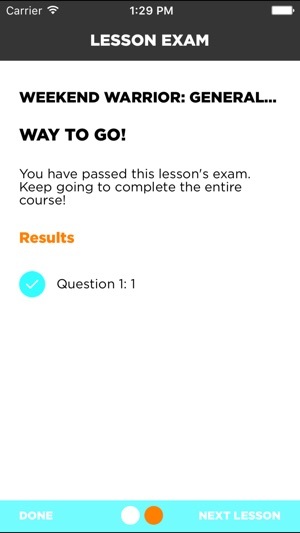 Access the lessons whenever is convenient for you. (Life doesn’t have to stop for your CECs!) In 5 minutes, you can watch, learn, and apply. The auto-renewing monthly subscription for premium content is only $9.99/mo., charged to your iTunes Account at confirmation of purchase. Health Coach Assessments: Did you know that variable bedtimes have been linked to insulin resistance in midlife women? Learn how to identify the disruptors and promoters that affect your clients health before they even walk into the gym. IoM Methods: Learn unique movement methods that improve mobility, balance, power, and health markers across the board. Our Ground-to-Standing patterns are have particular utility in terms of longevity predictors like the Brazilian Get-Up Test. Mobility: Learn how foot and ankle mobility impacts running mechanics, squat depth, and knee pain. Learn how improving pelvic mobility can bring relief for clients with low back pain. Metabolic Conditioning: HIIT is great for weight loss, but detrimental to long term cell health. Learn how to strike the right balance for your clients. 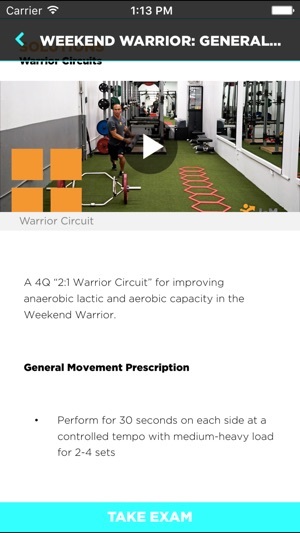 Weekend Warrior Performance: Discover the special considerations that impact how we keep our clients injury free as they train in amateur or adventure sports. Health care is changing. Join us and become one of the first generation of Health Coaches on Platform by IoM.